Fifteen years at WBAA! Where has the time gone? I worked here as a Program Host/Producer from 1995 to 2001, hosting classical music, Morning Edition, All Things Considered, and the weekly 20th-century classical music series “The Kostraba Conundrum.” After a short stint as Program Director at a public radio station in Kansas, I moved with my family to Toledo to serve as Classical Music Director at WGTE-FM, staying for seven years. One of my highlights there was winning the 2007 Ohio Public Broadcasting Award for "Radio Producer of the Year" for my monthly in-studio performance program “Live From FM 91” and special programs celebrating the lives and music of composers William Grant Still and Samuel Adler. As much as I loved northwest Ohio, it was a joy to return home to Greater Lafayette in 2009 as Program Director (now Content Director) of this remarkable station: freshening our sound, developing the WBAA Arts Spotlight, hosting Afternoon Classics, and in general deepening our relationships with the arts community. Aside from my family, my passion in life is playing the piano. I have master’s and doctoral degrees in piano performance from the University of Cincinnati College-Conservatory of Music, and was a semifinalist at the Fourth Van Cliburn International Piano Competition for Outstanding Amateurs in 2004. You may have heard me on Performance Today playing In a Mist by Bix Beiderbecke from the New Harmony Music Festival & School or William Grant Still’s Kaintuck’ with the Toledo Symphony. Perhaps you have seen me as soloist with the Lafayette and Purdue Symphony Orchestras, or performing chamber music on the Tippecanoe Chamber Music Society series. I have also been included on several recordings: the Toledo Clarinets premiere CD on the Cambria label, two recordings of music by Rick Sowash on the composer’s own label, and a release by my horn trio Quelque Chose on Kickshaw Records. (A record by the Sylvan Trio, my ensemble with flutist and Sunday Baroque host Suzanne Bona and cellist Josh Aerie, should be out by the end of the year.) My favorite gig, though, may have been playing on a weekly basis in the Rusty’s Jazz Café Big Band in Toledo with my late father, the bandleader Dan Terry, in the audience. WBAA's Greg Kostraba recently spoke with Jay Gephart and Jonathan Sweet from Purdue Bands about their concert Sunday, September 30 at 2:30 pm at the Long Center for the Performing Arts. 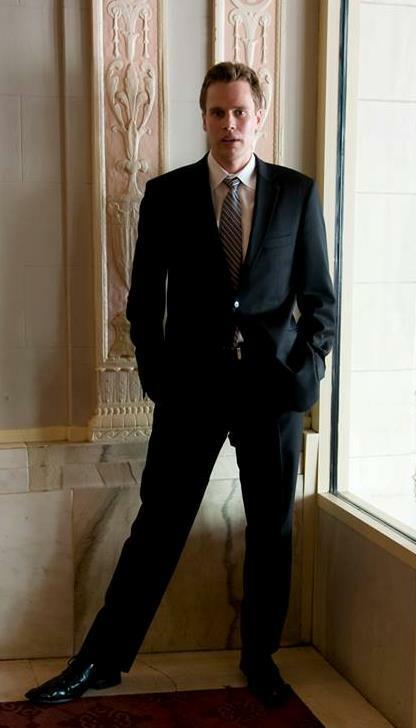 Nick Palmer leads the Lafayette Symphony Orchestra in its annual "Holiday Pops" concert Saturday, December 16th at 7:30 at the Long Center for the Performing Arts in Lafayette. 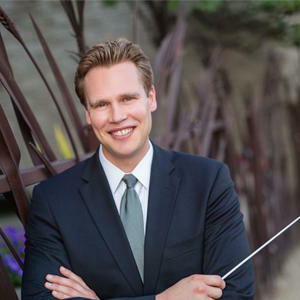 Greg Kostraba spoke with LSO Music Director Nick Palmer about the concert, which will feature actors from Civic Theater of Lafayette as well as WBAA's John Clare reading 'Twas the Night Before Christmas. 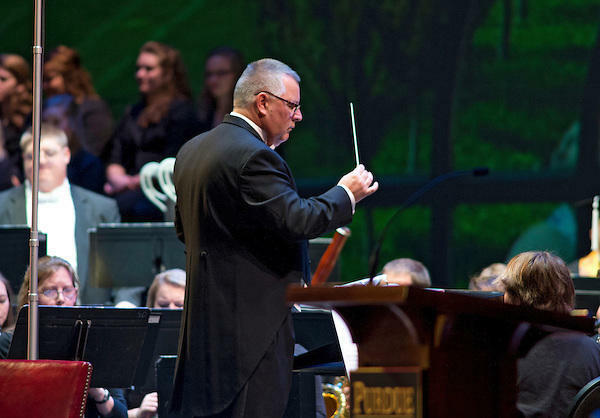 WBAA's Greg Kostraba recently spoke with Adam Bodony, Interim Orchestra Conductor of Purdue Bands and Orchestras, about the next Purdue Symphony and Philharmonic Orchestra performance, Friday, March 4th at 8 pm at Loeb Playhouse in Purdue's Stewart Center. 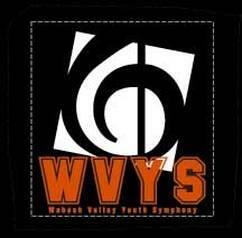 WBAA's Greg Kostraba recently spoke with the Wabash Valley Youth Symphony's Artistic Director José Valencia and two members of the orchestra featured in the next WVYS concert, Sunday evening at 7 at the Rohrman Center for the Performing Arts at Jefferson High School. The Bach Chorale Singers will be in performance twice this weekend: their "Let There Be Peace" concert takes place Saturday, December 12th at 7:30 p.m. followed by the annual "Candlelight, Lessons and Carols" program Sunday, December 13th at 4:30 p.m. 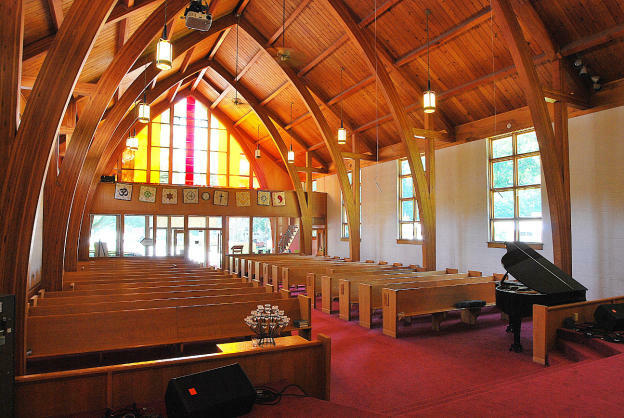 Both concerts are at First Baptist Church, 411 N. 5th Street in Lafayette. A member of the chorale, Karl Brandt, previews the concerts with WBAA's Jan Simon. The Lafayette Symphony and Kentucky Opera will join forces to perform Mozart’s comic opera “The Marriage of Figaro” Saturday, November 21st at 7:30 p.m. at the Long Center, 111 N. 6th Street in downtown Lafayette. LSO Music Director Nick Palmer previews the performance with WBAA's Greg Kostraba. The Lafayette Chamber Singers will be in performance Sunday, November 15th at 3 p.m. at the Unitarian Universalist Church in West Lafayette. Artistic Director Clayton Lein previews the concert, titled “Cold Winter’s Ice Is Fled,” with WBAA's Greg Kostraba.